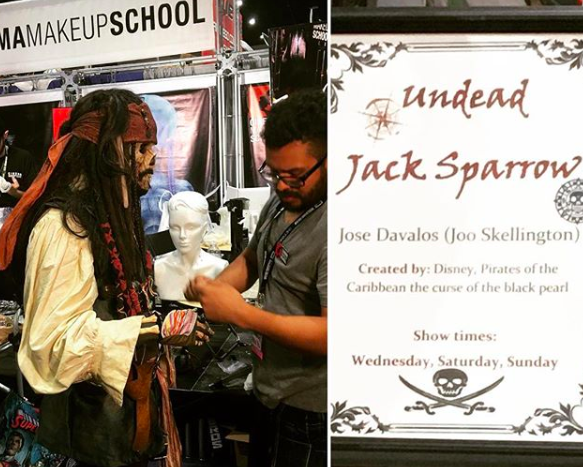 While walking the exhibition floor on preview night at Comic-Con International, I made sure to stop by my favourite booth- Cinema Makeup School. 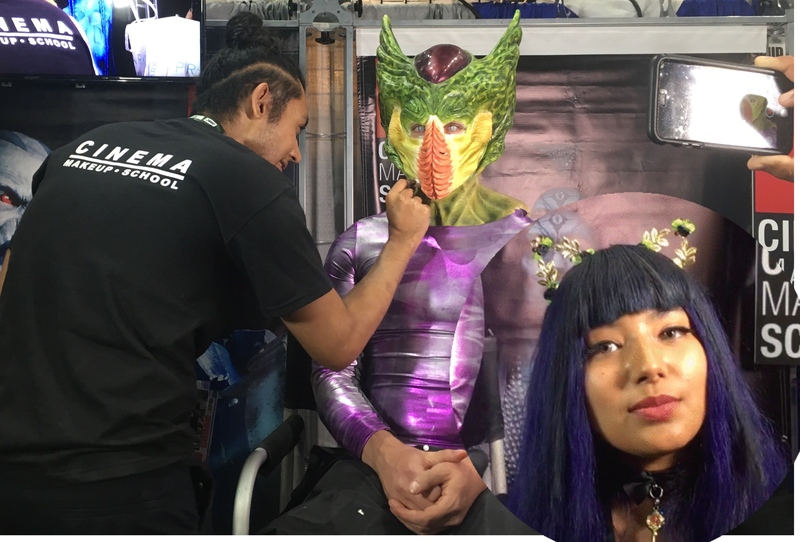 They always have tons of cool demonstrations going on and makeup artists on hand to give you the inside scoop on how the effects are done. The video below features a work-in-progress of Imperfect Cell from the Dragon Ball Series and I also got a few shots of Undead Jack Sparrow from Pirates of the Caribbean.